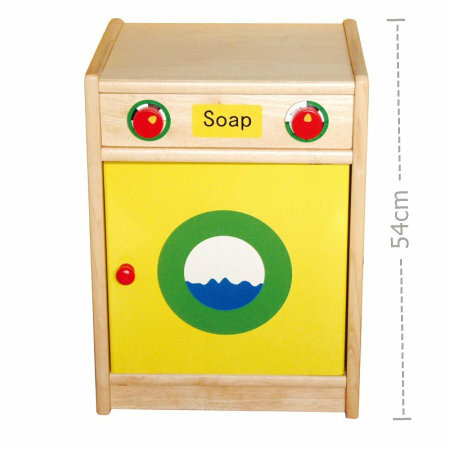 Wooden Play Washing Machine is a wonderful addition to any pretend play environment. This Wooden Washing machine has two turning knobs to control time and wash cycle and an opening door so you can fill the machine with all those grubby clothes. A great toy for all those domestic roleplay games and a very strong construction ideal for a child or children at home or a class in a kindergarten setting. We like this because: "Never to young to start learning how to do the washing!"